In Crystal Cove State Park, members of the Crystal Cove Conservancy and undergraduate interns and environmental researchers from the University of California, Irvine’s Center for Environmental Biology are working to restore degraded environments to their former glory. Through Project CRYSTAL, 4th-6th grade students from Orange County schools participate in the same work, undertaking scientific investigations related to the restoration of the environment, so they can become scientists themselves. In the following sections, you can learn about the restoration research we are doing. You’ll find out about the difference between native and non-native plants, as well as the difference between active and passive restoration. You will also learn about our research project, including our research questions, our experimental design, and our ways of collecting data. 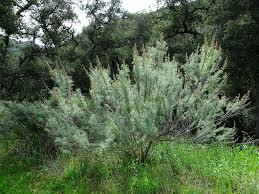 Our study focuses on one native plant in particular, the California Coastal Sage Scrub (Artemisia californica). These drought, heat, and cold-tolerant shrubs are distributed along the coast of central and southern California, extending inland in southern California, and south into Baja California. 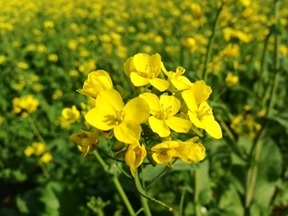 During passive restoration, invasive, non-native plants are removed to allow native plant communities to recover in the absence of competition with invasive species. During active restoration, non-native plants are removed and the seeds of native plants are actively added to the landscape. Herbivores, or animals that feed on plants, are an important part of any ecosystem. In our study, we seek to understand how herbivory affects Coastal Sage Scrub. In past restorations, it was found that the presence of herbivores made it difficult for native seedlings to be established. On the other hand, herbivory can be beneficial to restoration projects due to the consumption of non-native plant species. When herbivores feed on non-native plants, this could reduce the competition for sun, nutrients, and water between non-native plants and native Coastal Sage Scrub by reducing the population of non-native plants. Due to these two different possible outcomes from herbivory, we have decided to test how the presence and absence of herbivory affects Coastal Sage Scrub. In order to test this we have chosen to fence some randomly chosen Coastal Sage Scrub and leave other Coastal Sage Scrub unfenced. The fencing implies that herbivory is not affecting those specific Coastal Sage Scrub plants within the fence. Two other variables we are measuring for this project are soil moisture and transpiration. 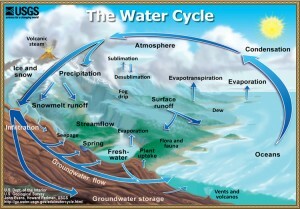 Soil moisture is just the measured amount of water in the soil. In transpiration, water is carried up from a plant’s roots and out of small pores on the underside of its leaves, where the water changes to vapor and is released to the atmosphere. 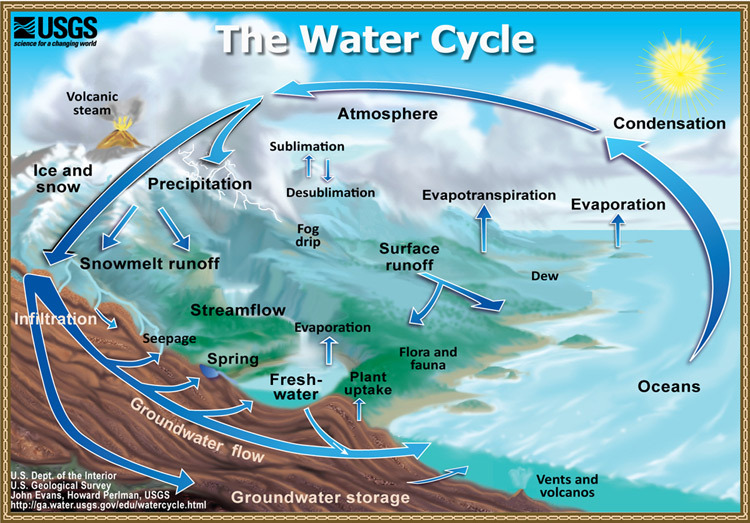 Soil moisture and transpiration are directly affected by the water cycle, which is how water moves throughout our planet. One of the goals for our project is to understand how the presence of non-native plants can affect soil moisture and the transpiration of native plants like Coastal Sage Scrub. 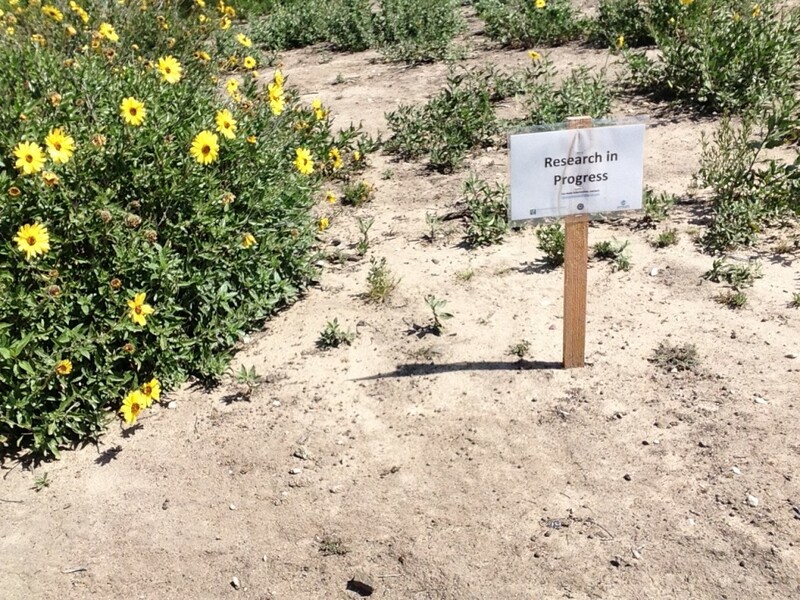 These measurements will show how productive the native plants are in the presence or absence of non-native species. Seven shrubs are receiving no treatment at all, and are designated as un-manipulated controls. For fenced shrubs, fences are placed in a 1-meter diameter around the plant. For weeded shrubs, all non-native plants that are within one meter of the plant must be weeded out. In order to keep the shrubs free of non-native plants, weeding must be done by hand twice for the following two months. The exclusion of small herbivores with fencing and the removal of non-native plants will influence the growth of and vitality of native shrubs. By having non-native plants weeded out, water will become more available to native shrubs, so there should be an increase in growth. Data that will be collected from the Artemisia californica shrubs will include their height, width at the widest point, and width at 90º from the widest point, transpiration rate (measured by porometers), and soil moisture (measured by TDR probes). Other data includes the number of native seedlings around each plant. Percent cover of non-native species will be estimated as well. Statistical measures will include separate two-way ANOVAs (analysis of variance) to determine whether shrub growth rate, transpiration rate, soil moisture, number of native seedlings, or % cover of non-native species varied depending on the treatment. Does soil moisture increase when non-native species are removed from around a shrub canopy? Do native shrubs have increased transpiration rates when non-native plants are removed? Does soil moisture increase when plants are protected from rabbit herbivory? Do native shrubs have increased transpiration rates when plants are protected from rabbit herbivory? 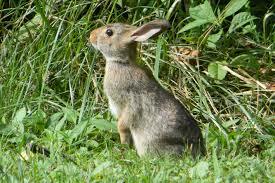 Is there an interaction between non-native plant removal and protection from rabbit herbivory?